There are few organizations that exist in the capacity that Redneck Revolt does. This is a nationwide group of working-class people dedicated to protecting and defending their communities. Members come from all races, backgrounds, industries, politics, and religions have joined together with their uniting factor being that they are among the working class and the poor. They support the rights of those who dedicate their lives to the hard work which makes just a few men rich, while the majority of Americans suffer in poverty-ridden conditions. 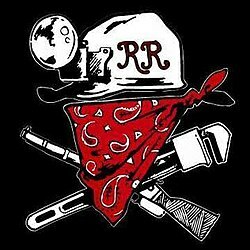 Redneck Revolt is an anti-fascist group who aims to remove the back-breaking weight of CEO’s, white politicians, and the men who’ve benefited for generations from the hard work of the poor. Redneck Revolt represents the larger majority of this country’s citizens and supports their rights to better compensation for the sacrifices they’ve made. Community defense is among the top priorities of Redneck Revolt. In areas where open carry is legal, many members decide to join gun clubs and become armed defenders of their communities. They believe not in protecting the liberty of individuals or families only, but whole communities. Redneck Revolt has an impressive nation-wide network of individuals who stand for the same principals. Originally starting in 2016, they have members which range from Republicans to humanists, and from libertarianism to communists and independents. They only require that members belong to the working class sector of society to help spread their message. Any working member of society is welcome to join Redneck Revolt and assist them in their mission to dismantle the distribution of power which is controlling this country. Their open doors and minds are ready and willing to take action towards community defense and supporting the working class. White or not, members of Redneck Revolt wholly believe in the decrepit reality that is White Supremacy. They acknowledge that this systematic privilege keeps a small few at the top, while the rest labor their lives away with little to no benefit. The strongest force working on the side of the working class is their united power together. Only together can they deconstruct the hierarchy that has reigned supreme for so many years in the United States. While white supremacy has offered privilege to the white working class, Redneck Revolt says no more! They are united with their fellow working class and poor, inhabiting cities and states across the nation in an effort to redesign the distribution of power and riches in this country. Throughout history, the working class and poor have been stomped on by the rich and elite. By uniting across the nation, the working class can make demands that must be met by the politicians, bosses, and wealthy landowners. For too long the few have been dominating the many, enjoying a life of riches at the expense of those below them. Many people do not pay mind to this injustice, but Redneck Revolt exists for the purpose of redesigning this system so that those who put in the work reap the rewards they deserve. Redneck Revolt is dedicated to ending white supremacy. They recognize that though many of the working class people of this country are white, they have worked to help those in power maintain their power by receiving privilege not offered uniformly. White supremacy has drawn a wedge between the working class people which works in the favor of those in power, for a class who cannot unite will not pose a threat to their seat of power. Redneck Revolt is not fooled by such trickery, and the main principle that they uphold is to bring this hierarchical system back down to where it belongs. They believe in liberty in the truest sense of the word. For them, this is not limited to simple ideas such as property rights but goes much deeper than that. Liberty exists in each man’s ability to not be coerced into minimum wage positions and a life of poverty while making someone else rich. They fight for wealth to be divided among those who are truly working for it. Members of Redneck Revolt do not only protect themselves and families but their entire communities. They know each other, have respect for each other, and share their lives as a true community does: together. They believe that liberty cannot exist if communities do not work together. In times of good and bad, their concept of community is one that supports each other no matter what. Redneck Revolt stands firm in their belief that they will not serve as a buffer between the rich elite and the poorest members of society. Many times the poor have been cast aside and regarded as trash by middle and upper-class white people. The poor are forced to work laborious positions, if they’re lucky, living paycheck to paycheck while being looked down on by everyone they work for. This concept of society is unacceptable to Redneck Revolt. They are determined to unite their class, turn this situation around and bring to light the valuable services they are providing. Redneck Revolt prides itself in the concern they have for community defense. They do not disregard their neighbors in exchange for close family members, but instead, they unite. They know each other and each other’s struggles and are willing to fight for all community members the same they would family. It is a lifestyle, and members of Redneck Revolt never forget why they’re here. Redneck Revolt is changing the world we live in. They stand firm in their beliefs and bring their principals to light for all to see. They have experienced enough poverty and it has been made clear that these times must change. They stand firmly against capitalism. No longer will the few benefits from the majority who work for minimum wages that are barely sufficient to care for their families. Capitalism keeps this system in place. Redneck Revolt is determined to change that. Redneck Revolt encompasses every member of society who has been cast aside, disregarded, or treated unfairly. They welcome all members of society to join their ranks and their mission. Their doors are open to any race, sexuality, religion, political party, or other varying degrees of beliefs. They are not concerned with creating an elitist group that contains the few, they aim to unite all Americans who have faced oppression since before they had the chance to decide for themselves. The system currently operating in the United States works fantastically under some respects, but there are many ways in which major reform and revolution are needed. Without the union of those who serve and work in this country, reform will never be possible. Redneck Revolt recognizes the need for action and unity across the working class and poor members of society. They are working tirelessly to spread their message and strengthen their following. With great success, they have risen to where they are today and Americans watch eagerly as their strong message continues to be shared nationwide.